Hi Bernie, great post! 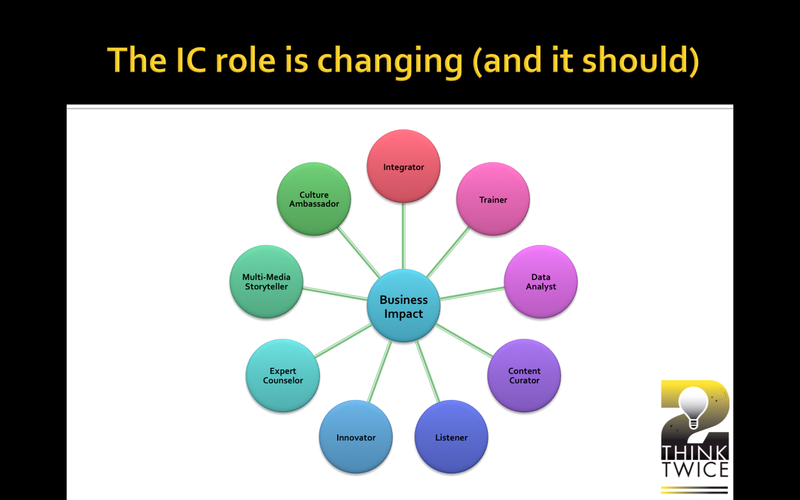 Totally agree on the evolved/ing role of internal communications professionals. The focus on customer experience (CX) has a lot to do with the shift taking place. Internal comms can no longer (not that they ever should have been) be pushed to the side and dismissed by their often higher profiled (and regarded) Marketing and PR counterparts. Successful customer experience management (CEM) has to start from within, and ICs are the ones to drive that mandate with employees and associates. Internal and external comms need to work more harmoniously, be more aligned and deliver cohesive messaging to all its customers (internal and external). It is no longer good enough to be a great writer, you have to understand the technical side of the equation as well to be effective. So one more category I would add to the nine listed above is Technologist. Companies have a myriad of tools, platforms, and systems in place to help them reach their audiences. In order to make the most of the features and functionality offered by that landscape, it behooves the IC team to have someone on their team who can look beyond what the online training tells them and get the most out of the tool to help them get their messaging out in the most effective and efficient ways possible.